What are the first things that come to your mind when you think about the Easter holiday? 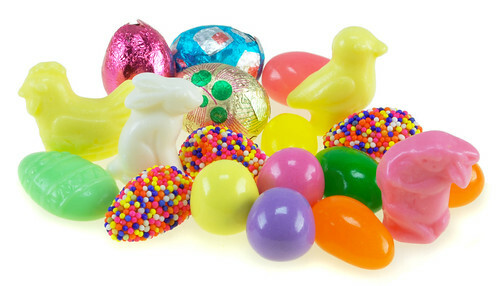 Bunnies, baby chicks, egg dyeing, and of course many different candies… Do you think about honeybees? Many people don’t realize, but honeybees play a very important role in this special holiday because they produce beeswax. 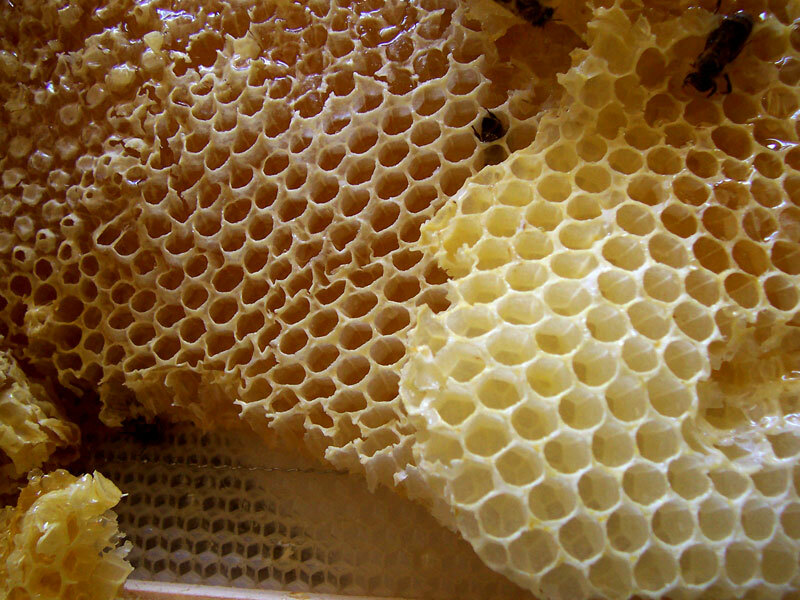 Natural honeycomb inside the hive. Worker bees secrete beeswax from four paired glands on the underside of their bellies. Beeswax is used to build honeycomb inside of the hive, but beekeepers can harvest beeswax from the hive and use it in many different ways. Paschal candles are 51% beeswax! The most common use for beeswax is in candle-making. During the Easter season, the Catholic Church burns Paschal candles, which are special candles made with at least 51% beeswax. Beeswax burns brighter and with less smoke than other waxes, and the candles last for a longer time. If you enjoy dyeing Easter eggs, then maybe you would like to try decorating Ukrainian pysanky eggs. These eggs are dyed many times using beeswax which covers the egg in patterns on each layer. The result is a beautiful and elaborate brightly colored Easter egg. Beeswax is also an important ingredient in many candies. Do you like jelly beans? Beeswax is sometimes added to the shell of jelly beans to keep them firm. Many chocolate candies have a coating that is made from beeswax. This gives the candy its shine and protects it from melting quickly. But don't worry; you really can't taste it! This upcoming Easter, as you decorate eggs and enjoy yummy candies, remember to thank the honeybee for her role in making your Easter celebration great!